This is a fast-growing vine that prefers a humid climate, such as rainforests. 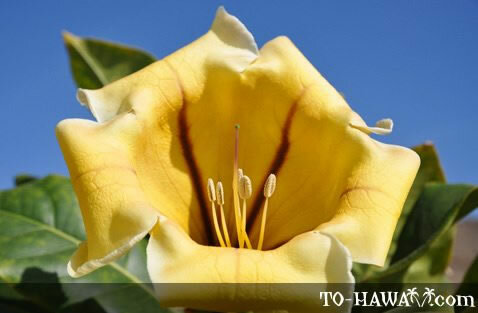 Its name refers to the large up to 9-inch (23 cm) wide yellow blossom. It is streaked with purple and emits a sweet scent. Its main blooming season is in winter.